Viaggio In Italia Perfume by Maria Candida Gentile, Viaggio In Italia is an aromatic journey down the coastlines of southern Italy . 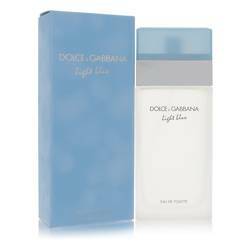 Bright, romantic, and reminiscent of warm summer days, the fragrance adds a lovely feminine touch to causal daywear. The tangy perfume notes include green mandarin, bitter orange, and orange sanguinella. Maria Candida Gentile is a contemporary perfume artist who has been captivated by aromas since she was a child. She studied at the prestigious Grasse Institute Read More Read More of Perfumery under master perfumer Carole Andre. Gentile is the only Italian alumnae of the Grasse Institute to earn the title Maitre Parfumeur and is renowned for her exquisite compositions. The personal fragrance of Princess Caroline of Monaco is one of Gentile’s skillful creations. Her high-quality products are made with essential raw materials combined with manual techniques, and she derives her creativity from research into storytelling, travelling, and memory. Combining language with sensorial perceptions, Gentile works by hand with her fragrances to capture the inner thoughts of discovery with new parts of the world. All products are original, authentic name brands. We do not sell knockoffs or imitations.